The International Surfing Association (ISA) announced during the 2016 Rio Olympic Games that Denmark would host the 2017 Stand-Up Paddleboard (SUP) and Paddleboard Championship in September. Now we know where the events will be held. A recent announcement from the ISA confirms that Vorupør and Copenhagen have been chosen as the two venues for the September 1-10 events. As the capital of Denmark, Copenhagen is a city most of us are familiar with – at least on an intellectual level. As for Vorupør, it is significantly less familiar. Vorupør is a coastal parish on the north-east coast of Denmark that consists of one settlement with a population of fewer than 600 people. Its strength is its beautiful coastline that attracts visitors from all corners of the globe. In fact, Vorupør is so popular with tourists that it is known affectionately as ‘Cold Hawaii’. Last year’s ISA Championship was held in Fiji to great success. But the ISA wanted to use the 2017 event to showcase the wide-ranging diversity of SUP and paddleboarding, as well as their organisation’s ability to adapt to different locations and conditions. They chose Denmark for that very reason. Come September, Denmark will be able to say it was the first European country to host the ISA Championship. It is ironic to note that the tip of the pier in Vorupør marks the one point in Denmark furthest from Copenhagen. The ISA is literally stretching itself across Denmark to hold events in both locations. That’s not necessarily bad, though, as Denmark’s 4,600 miles of coastline could offer future opportunities to host ISA events. 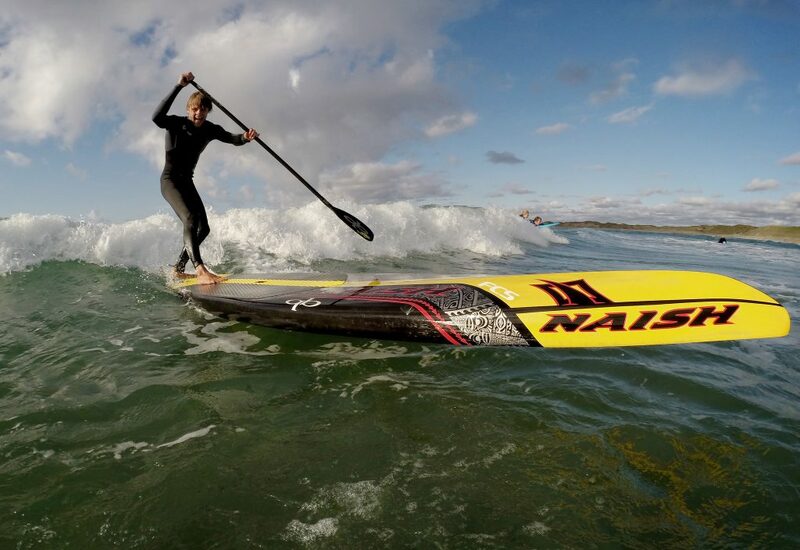 Vorupør will host the SUP Surfing and Technical Racing events that will play into its very active waves. According to ISA President Fernando Aguerre, the Cold Hawaii coastline offers perfect conditions for SUP surfing, both in the water and out. That section of the Danish coastline is known for its incredible waves and the hospitality of the locals. The legendary canals of Copenhagen will be the venue for SUP Distance Racing as competitors look to make their mark in 2017. Many of the events will take place right in front of the legendary Copenhagen Opera House in the heart of the capital. The city’s impressive infrastructure should play an important role as well, moving spectators in and out of the city with precision and efficiency. The ISA is exceptionally enthusiastic about the 2017 championships inasmuch as it is another opportunity for them to showcase stand-up paddleboarding to the world. SUP is considered a core discipline of the ISA, and it also constitutes one of the fastest growing sports in the world. The ISA is thrilled to allow Denmark to be a part of that. deserves a rightful place among Olympic-level water sports competitions. If Denmark goes off as planned this year, the ISA’s success at promoting SUP could be very good for their 2020 Olympic aspirations.